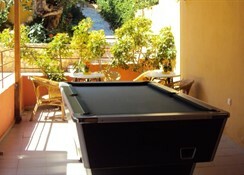 Elgoni Apartments is an elegant accommodation, beautifully situated in Hersonissos,Crete. 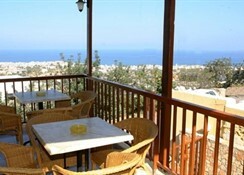 Situated at 1km from Hersonissos Beach and 1.5 km from Star Beach, it is a wonderful holiday destination. 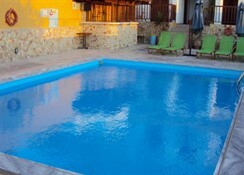 It is made for rest and relaxation, with a wide assortment of facilities and services to ensure guestsâ?? utmost comfort. 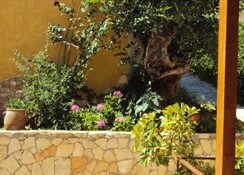 Piskopiano lies on the slopes of Mt Harakas, about 25 km east of Heraklion. Souvenir shops, bars and restaurants surround the hotel, and free parking is available on site. Each unit has a balcony or veranda with a panoramic view. All include private bathrooms and kitchenettes. Air conditioning and safes can also be provided with extra charge. With a combined sophistication, simplicity and tastefulness, Elgoni Apartments will most definitely leave a lasting impression and unforgettable memories. There is a TV in the bar area and also a public phone. A/C & safe deposit box are with extra charge payable locally.